“The Hungry Caterpillar” is one of his favourite books, but how does such a tiny caterpillar turn into something as beautiful as a butterfly, do they really eat pickle, salalmi and even cupcakes and how can we help the decline of butterflies ? 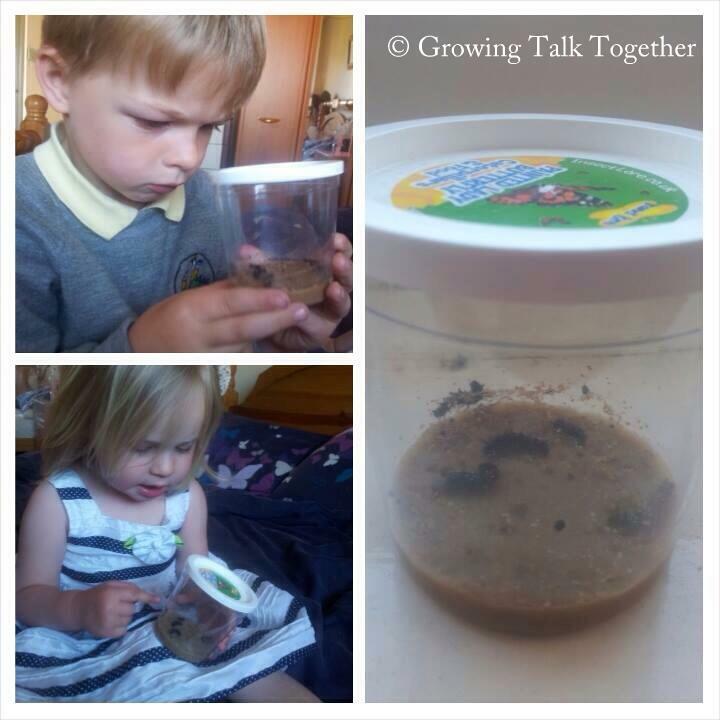 Mikey has decided to find out more and grow his very own butterflies…..
At Tots on Tour, like many early year’s settings we have grown our own butterflies but this incredible first hand experience can also be done at home. 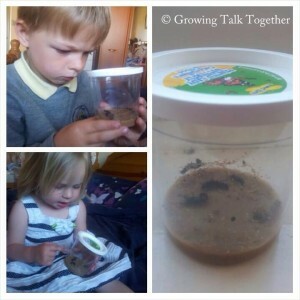 No garden is needed, just some parkland or outdoor space where they can be released into the wild.This blog is about Mikey’s own summer caterpillar to butterfly experience 🙂 and may be something you could try this holiday? 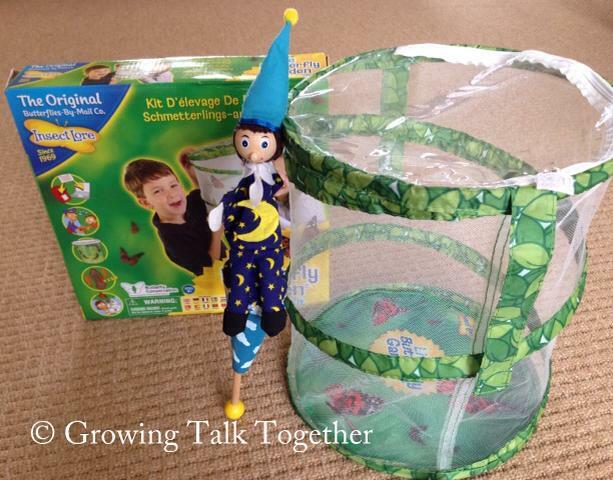 A live Butterfly garden hatching kit – an “insect lore” can be bought from many places, ours was from Amazon and included a voucher for the caterpillars. The cycle takes about 3-4 weeks so we have made sure we will be at home for the birth! 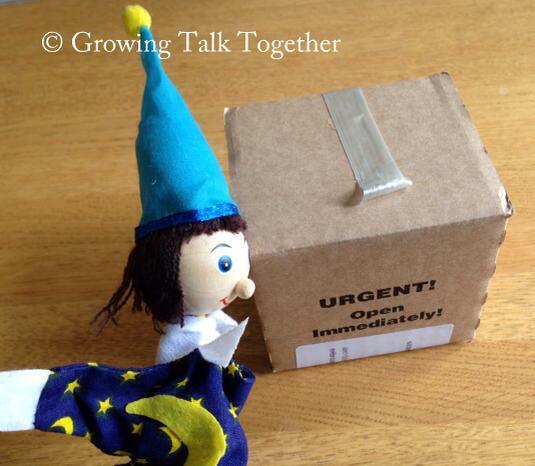 We ordered our caterpillars last week and they arrived in the post this week!! Is it really possible these tiny babies will turn into beautiful butterflies……?. 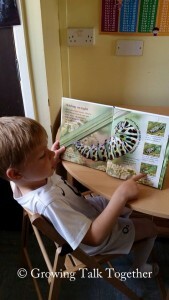 We have read “The Hungry Caterpillar” again and again! We have been to the library and found “Arabella Miller’s Tiny Caterpillar” by Clare Tarrett which we would definitely recommend, it is a fabulous story about a little girl who makes friends with a caterpillar. at the back it includes a couple of pages on the life- cycle of a butterfly. We have also found some good non-fiction books which are helping us understand this beautiful life-cycle. 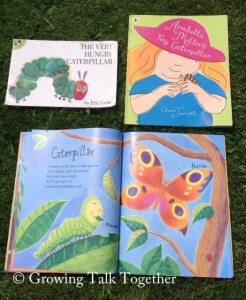 Watch this space and we will keep you posted on our very own caterpillar story !